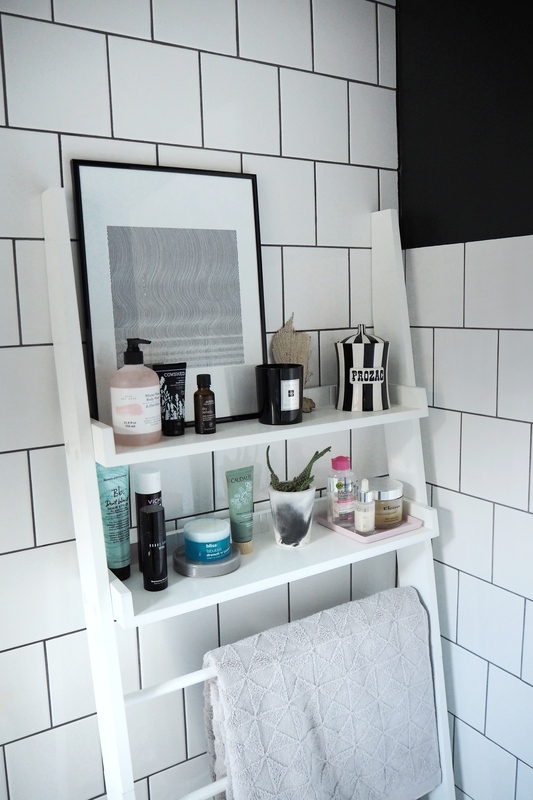 Ladder shelving: £85, Next. Art print: Tate. Towel: Debenhams. I’m not going to lie: it has been quite a dark time, lately, as far as my skin is concerned. The change of water with all my work travel, the late nights working (both on my laptop and on the house), the lack of funds to go out and let my skin see daylight…it all took its toll on my skin and hair and (just a little bit) on my spirit. 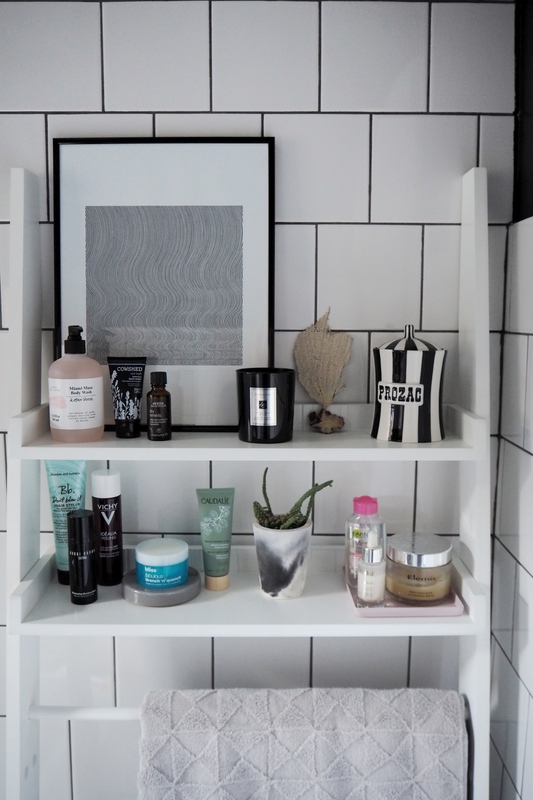 But there are a few products that got me through the hibernation months and back on track, and have nabbed themselves a permanent spot on my new ladder shelving. Fabulous drench n’ quench cream-to-water lock-in moisturiser: £29.50, Bliss. Okay it’s a bit of a mouthful. But this moisturiser is great for anyone with dry to combination skin. It glides on like water but immediately rehydrates and my skin feels soft and bouncy after using. Illuminating moisture balm: £42.50, Bobbi Brown. Pot pourri: £10, Evermore. Glass tray: Hay. This Bobbi Brown balm is my London Fashion Week secret weapon. I put it under my foundation for an extra ‘glow’ or you can just dab on your cheekbones for a subtle highlight. It makes me feel a little more polished when I’ve been surviving on minimal sleep and working three weekends on the trot. Hand cream: £5, Cowshed. Dry remedy hair oil: £17.85, Aveda. Over the last year, my hair has reached a good place – and hair oil really has had a lot to do with it. I put a few drops of this onto damp hair. And then if I know I’m not going anywhere, I put a few more drops on the ends before I go to bed to really let it sink in. 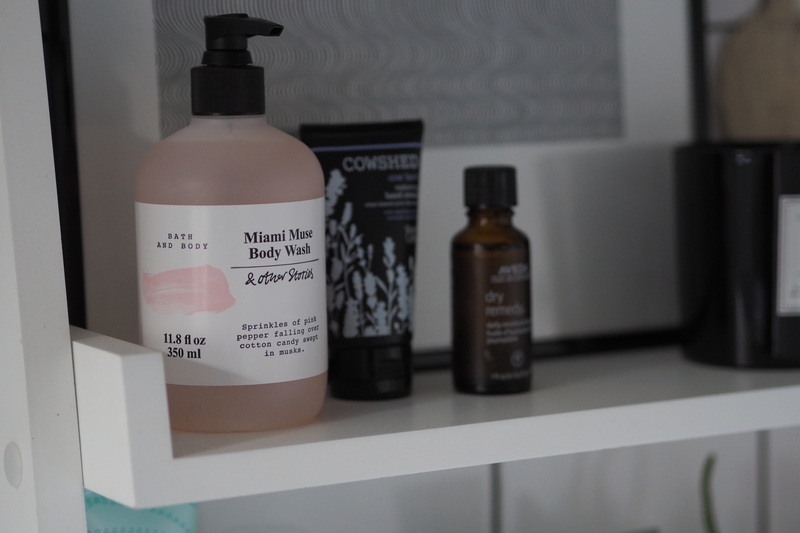 ‘Miami Muse’ body wash: £7, And Other Stories (mainly because it’s pink). Towel: Debenhams. ‘Don’t blow It’ styling creme: £21, Bumble & Bumble. Dry remedy hair oil: £17.85, Aveda. Basket: £9, Ikea. 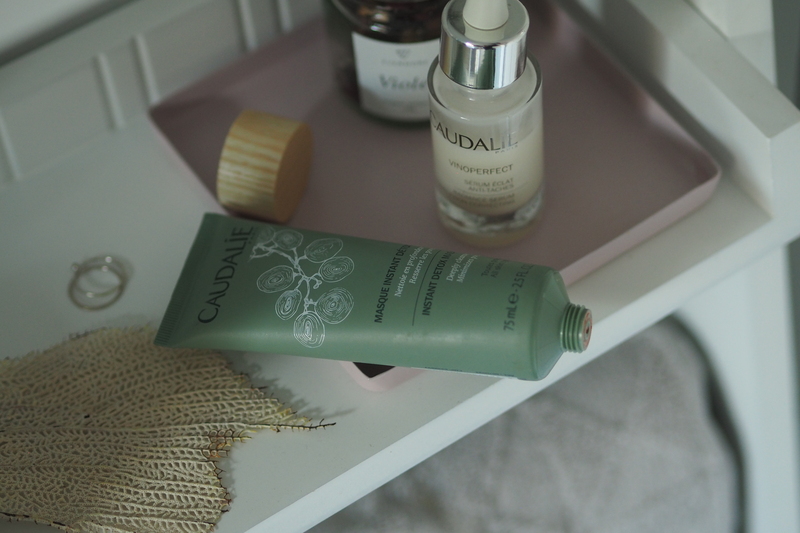 Instant detox masque: £22, Caudalie. I love a face mask, but I find the sheets command too much time and not enough multitasking. I am a woman on the go, so love this clay mask which I always take with me on work trips and try to do once a week at home when I need a skin pick me up. It only takes 5 minutes, too. 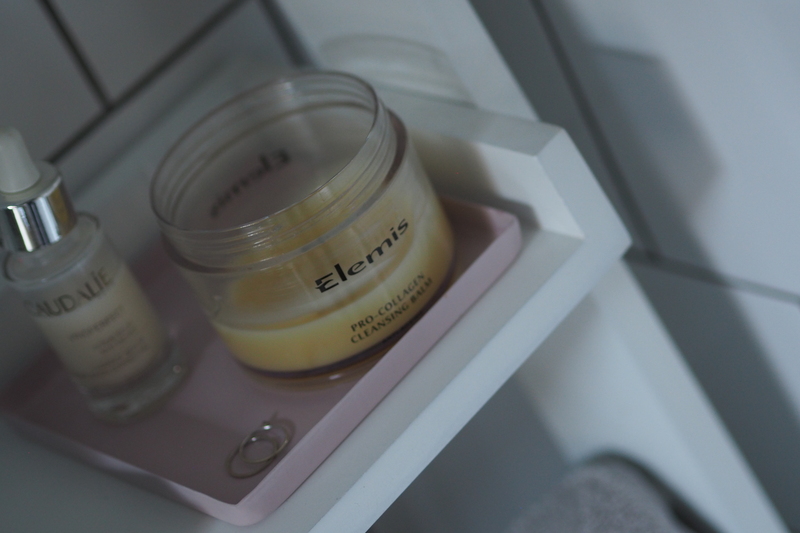 Cleansing balm: £30.75, Elemis. Tray: H&M Home (old). Pricey but cost per wear it’s so worth it. Miscellar water: £2, Garnier. Candle: £16, Rathbornes. Metal tray: Hay at Amara. Bracelet: £85, Lucy Williams x Missoma. And if you’re looking for a cheap fix? 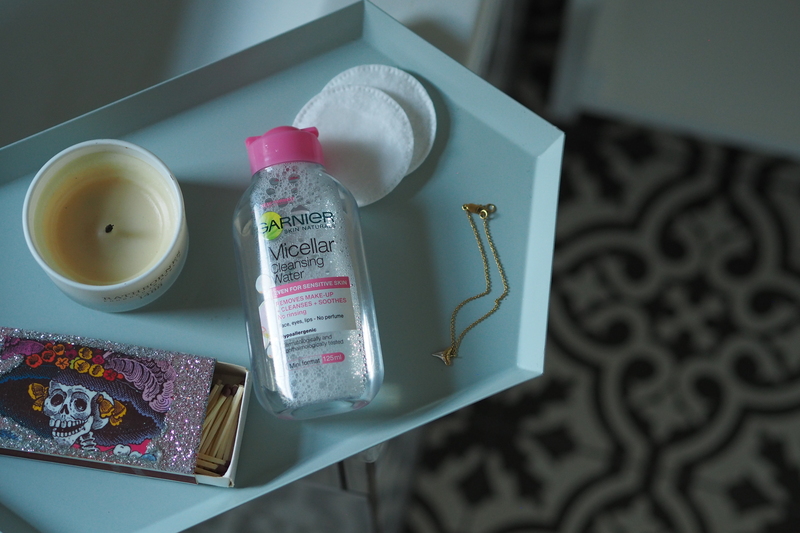 The Garnier miscellar water is the perfect toner and make-up remover. I love the smaller bottle too, it’s the first thing I pack for a trip away. Velvet rose and oud candle: £55, Jo Malone. And sometimes, whilst spending very little money on going out, food or treats, a candle can make dark times (literally, we have very few working lights) that little bit more glamorous. 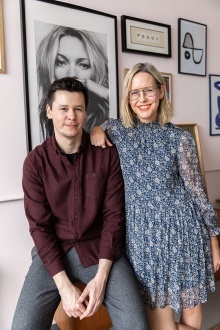 We’ve been burning a lot of candles since moving – mainly to get rid of the smell of dust – but it’s an expensive habit. I often try and use & Other Stories ones where I can but nothing beats Jo Malone for a little bit of luxe to your everyday. I love this! 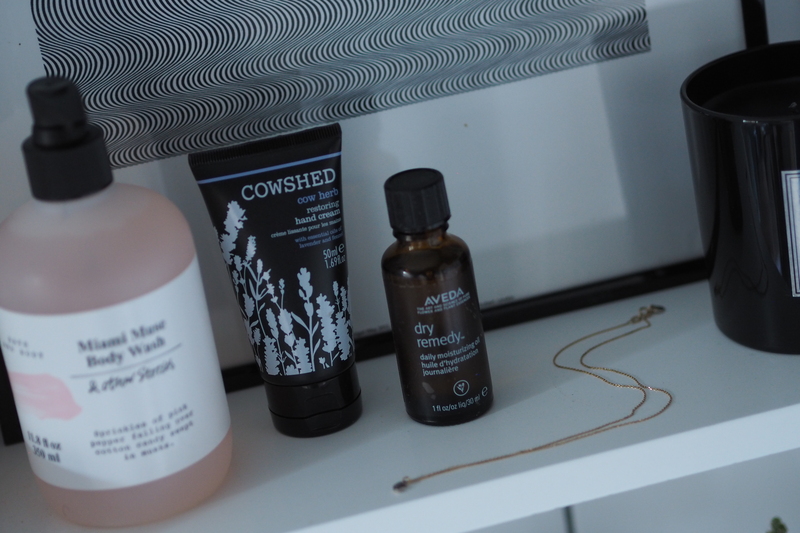 I also spend January hibernating, and a few luxe candles and potions made it feel a lot more indulgent and helped to lift my spirits. 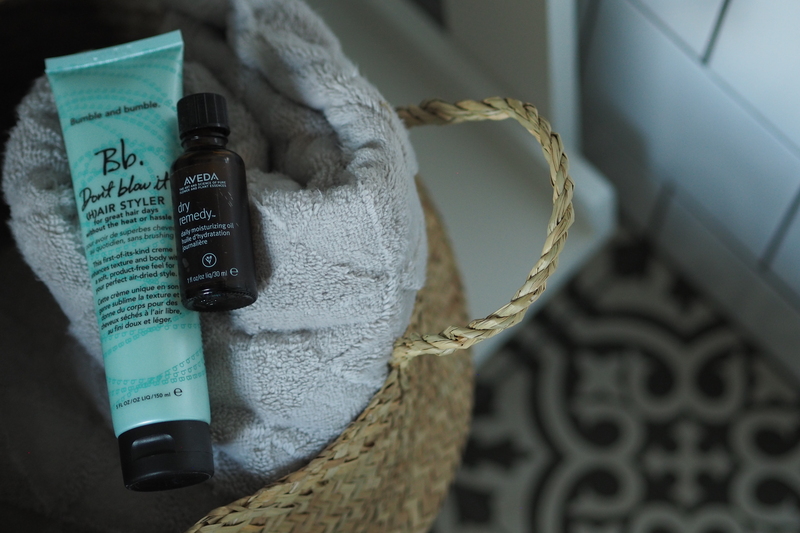 I love a luxe shower gel (because it lasts for 6 months and makes every shower a little bit of a treat), a super hydrating hair masque (Kiehls Olive Fruit masque is the best), and a brightening face masque (REN or Caudalie are lovely and not too expensive on a cost-per-use basis). Hope the house is starting to feel a little more like home! I love the Garnier Micellar water but WHY did they make the bottle 125ml and not 100ml?! So annoying for travelling! I so know that smell of dust when doing up my flat last year! 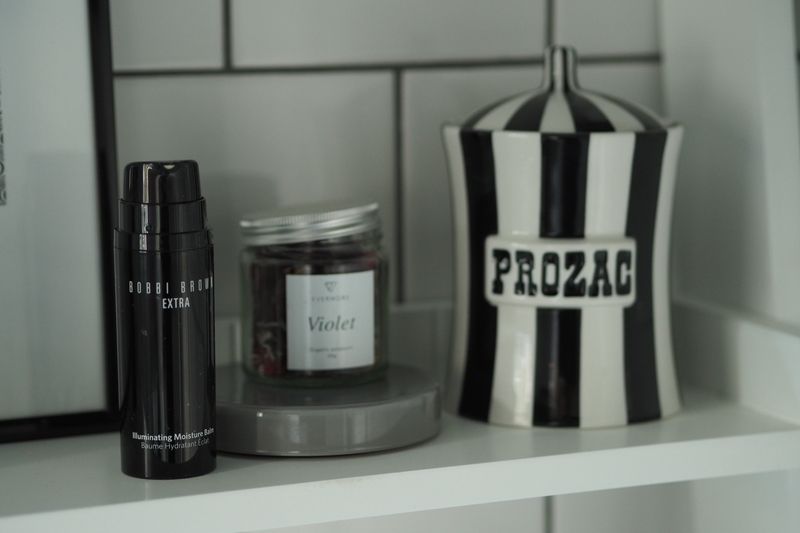 Little things like beauty products make you feel normal again…. loving the Bobbi brown recommendation I might give that a go…. That dry cough, the smell, I also moisturise my hands about 30 times a day! THIS is such a good tip! And makes them last longer – I am on like one a year! All of this sounds fab! I’ve actually tried that Bumble and Bumble hair product (Don’t blow it) and it’s pretty good! 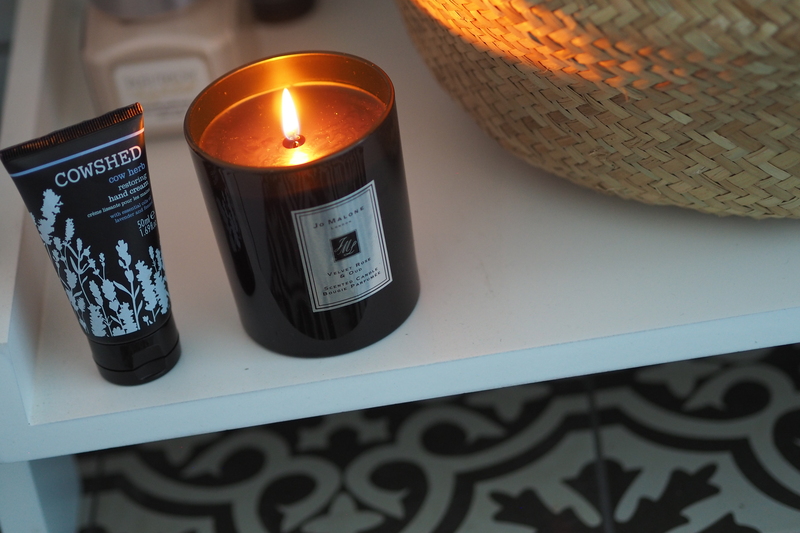 Plus the candle just has to make you feel more relaxed! Yes i forgot to mention that stuff but I love it – I don’t actually blowdry my hair anymore so this is so useful!